Miss Mustard Seed is hosting "Furniture Feature Friday". 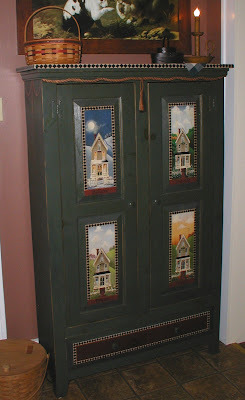 So, I decided to share some of the pieces of funiture that I've painted over the years for our home. 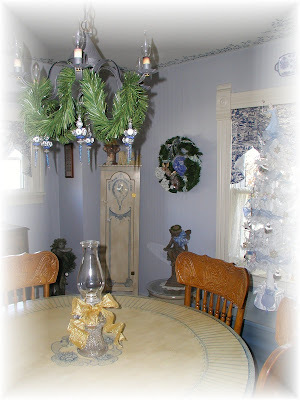 Sorry about the Christmas decorations, but this is the table that I painted to match the above cabinet. I've got lots of pieces still to paint and feel the need to get started after seeing these photos once again. What have you painted lately? Stop by Miss Mustard Seed's blog to get some great furniture painting ideas. Well I loved your umbrella stand, but this new post is really wonderful. Love it. I haven't quite graduated to my furniture pieces, even though I have great ambitions. 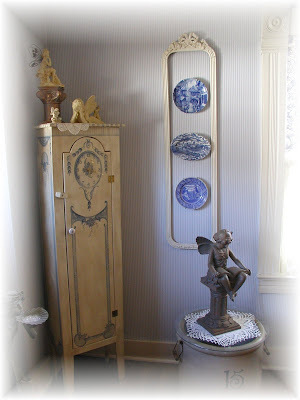 I love that white and blue cabinet. 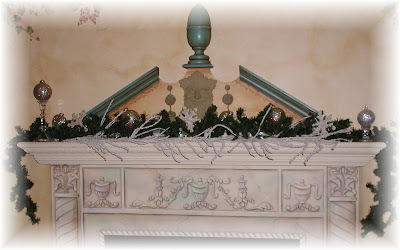 And you did an amazing job with the cupboard and the faux- fireplace. 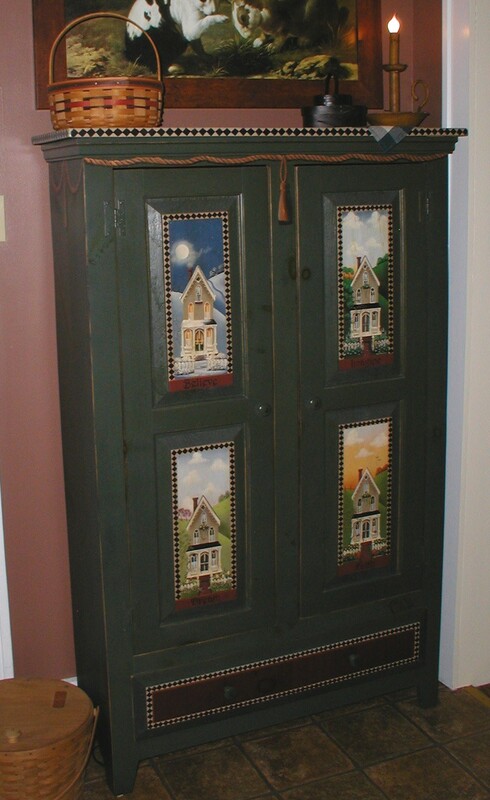 You've decorated your home beautifully with painted furniture. 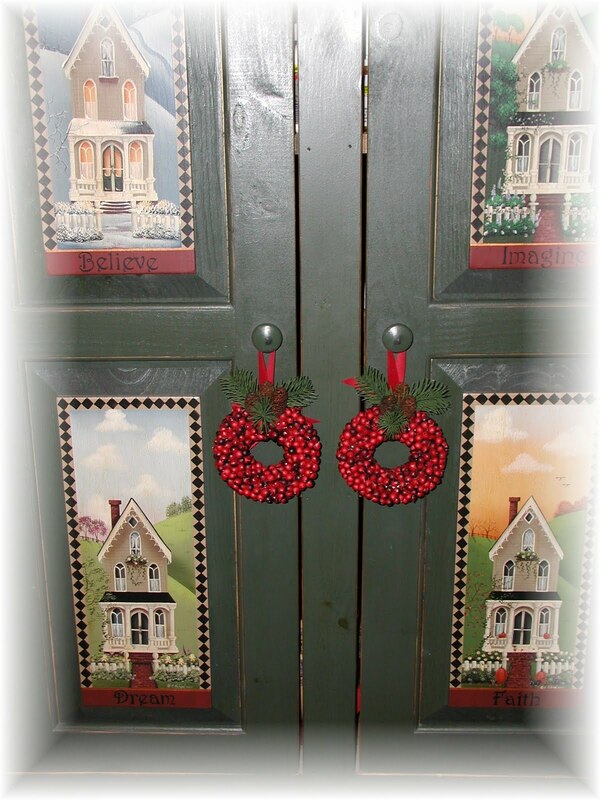 The cabinet with four seasons painted on the doors is beautiful and you could paint a faux fireplace for me any day! Your work is incredible!! I am your new follower. I love your cupcake paintings, really all your paintings! I had a kidney transplant two months ago and have had this new outlook on life. I was looking through artwork online and came across your paintings. They all just made me emotionally feel good! I ended up doing a cupcake wall in my kitchen. Plus I praise your paintings whenever I can. 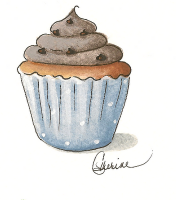 I've seen other cupcake paintings and none are as good as yours.